We’d like to talk about dementia this month as it is a disease that affects so many people in society and as a healthcare professional, you will face it regularly. A recent study was undertaken by the research team, from the University of Exeter, King’s College London and Oxford Health NHS Foundation. They studied the cost-effectiveness of an intervention in 69 care homes, with a total of 549 residents suffering clinically significant agitation in dementia. The intervention used part of the WHELD programme. The aim of the programme is to improve wellbeing and health for people with dementia. Part of the programme involved training GPs to reduce prescribing levels of antipsychotics. These drugs significantly increase the risk of stroke and death in people with dementia. It also involved training two ‘carer champions’ from each care home in delivering person-centered care. What was the key element of the programme’s success? Care home staff took part in an e-learning programme to increase social interaction from two minutes a day to ten, combined with a programme of personalised care. The Alzheimer’s Society argued that as 70% of people in care homes have dementia. 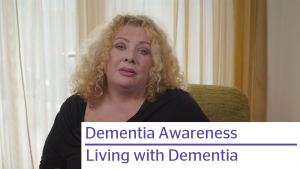 It is essential for staff to have the right training to provide good quality dementia care. The researchers reported that WHELD saved up to £4,000 per care home over the nine-month study . As a result of this, there were savings of £2,000 per home. This is even after considering the cost of delivering the intervention itself. Most of the savings were from reductions in hospital admissions and fewer GP contacts, resulting in part from a reduction in agitation.